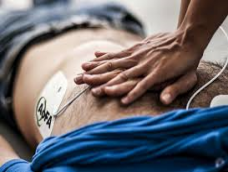 Course: BLS is for Healthcare Providers - Care Givers and Medical. for Health Care Providers - Care Givers and Medical. American Heart Certified, CPR AED, FIRST AID CLASSES. 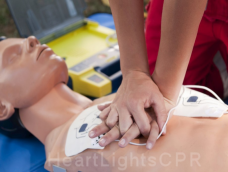 American Heart CPR/AED Training Provider. CPR/AED/First Aid Certified AHA Instructors. 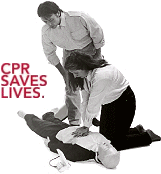 CPR Certified instructors and safety experts. nursing students. Courses are available at our training location or onsite at your facility. CHOKING, with First Aid, if required. Babysitter, Babysitting, Nannies CPR First Aid - info Click here. (BACK) our AHA CPR/AED covers Adult, Child and Infant CPR plus choking.. This course replaces the BLS for Healthcare Providers ..
In-Person Skills Session After completing the eLearning component, students will attend a structured Instructor-led course that focuses on meaningful skills practice, debriefing, team scenarios, discussions of local protocols and skills testing. Students will also complete the hands-on portion with a feed-back pressure manikin. Students who successfully complete the online portion receive a certificate that allows them entrance to a skills practice and testing session. An AHA BLS for Healthcare Providers course completion card will be issued upon completion of both parts. Employers do not universally accept online CPR re certifications. In some cases, the online agency providing the re certification fails to provide the recommended minimum training. In other cases, the agency does not follow the guidelines set forth by major CPR certification agencies. 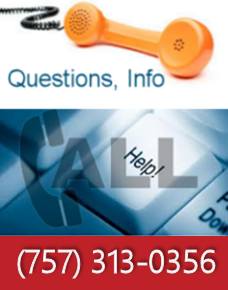 Prior to enrollment, ensure that you are not wasting your money but are actually getting a valid BLS American Heart Association or Red Cross CPR issued re certification card and not an unrecognized on-line internet institutes generic CPR card.